A stained, worn or damaged bath tub isn’t just unsightly—it can keep you from being able to fully enjoy a relaxing evening soak. If you’re looking to breathe life into an old tub, but don’t want to replace it entirely, a tub liner is the perfect option. At U.S. Patio Systems, we offer tub liners from the highest quality manufacturers, offering each and every customer the best in modern bathroom solutions that are elegant and high-quality. 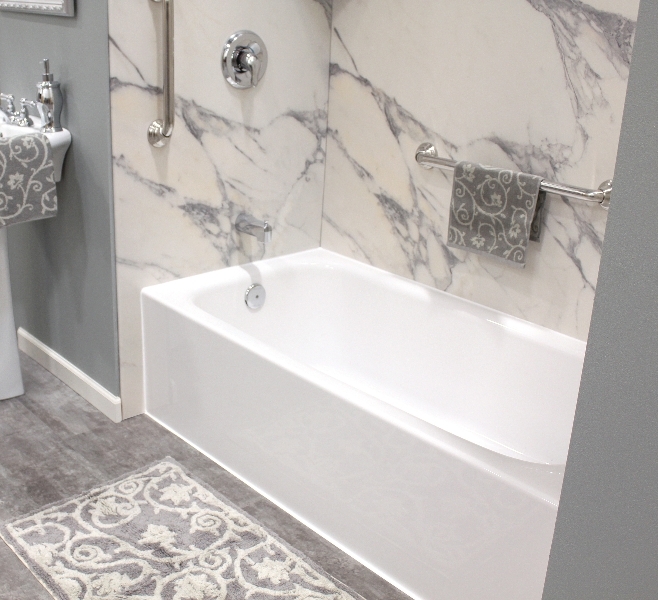 Liners are installed over your existing tub and can be customized with added accessories, such as soap dishes and grab bars, to ensure your needs and wants are met. Even if your tub itself is in good condition, liners can still be installed so you can enjoy those extra features. Transform your bathing experience in a matter of days. Installation is quick and low-mess, making the transition as smooth and convenient as possible. And our tub liners are constructed with sturdy, high-gloss materials that make them durable and also mold- and mildew-resistant, so your tub will be easy to clean and keep clean. Considering a tub liner for your home bathroom? Contact us for a free estimate. U.S. Patio Systems also offers replacement baths, replacement showers and more to help enhance your bathing experience.